Support for EEVEE real-time render engine. Note: EEVEE rendering requires a decent GPU for real-time results. Optimized with 50% less vertices! Materials have been tweaked and updated for more realism, and models have been optimized to have less vertices but more realism. Easily Drag and Drop Realistic Trees in the free software Blender! Don't have the time or knowledge to spend countless hours creating realistic trees in Blender? Now there's an easy solution with the Realistic Tree Pack! Nature made easy, with all the control! 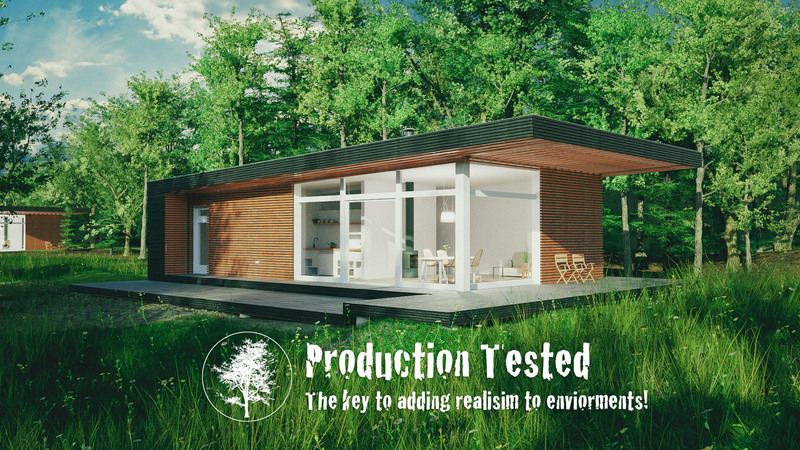 This set of assets contains 4 Tree Models, including Ash, Maple, Poplar and Spruce with 7-9 unique textures each for randomizing realism! Changes with the Season! Want a Fall or Winter Scene? No Problem. 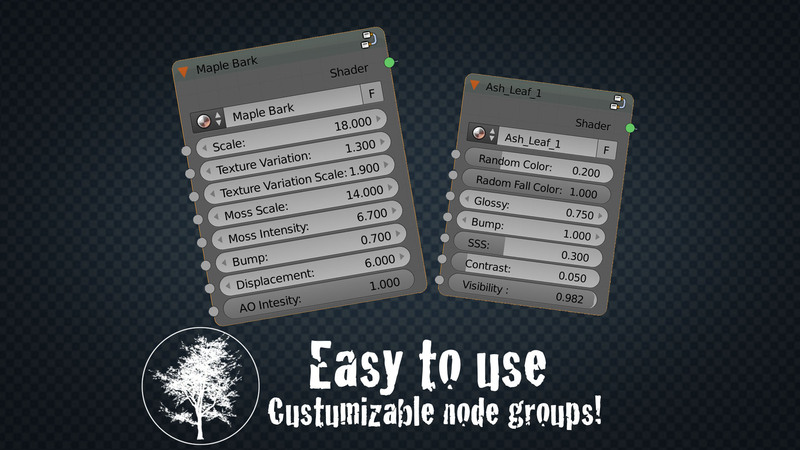 Using the Advanced Node Groups, easily animate the leaves to realistically change color! Tweak or randomize any of the materials with the custom node groups! Add or remove Moss, Bark Rot, and Texture Variations! 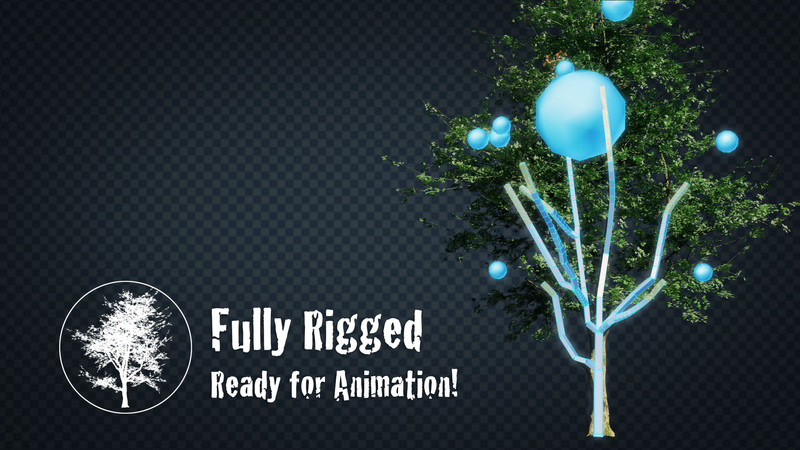 Each tree is completely rigged and ready for animation! Easily move branches around with the IK constraints to change the look of the tree. This pack is created for Blender Cycles, and includes life time free updates! * Voila! you've now added all the assets to your scene! * You can now set them up with a Particle Hair System in your scene. 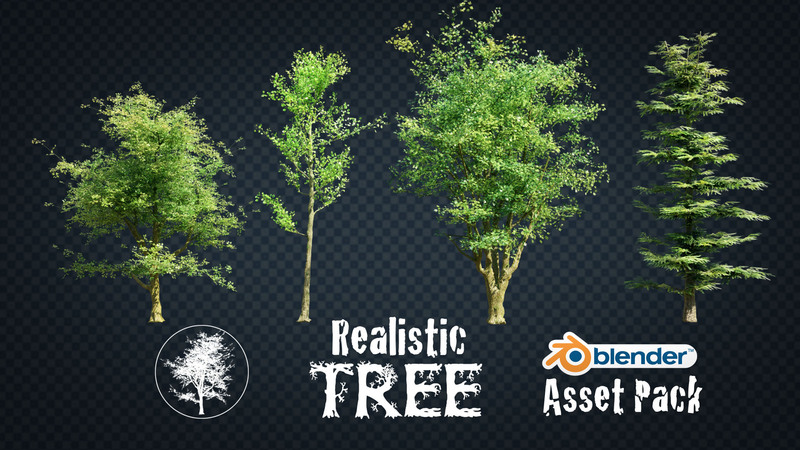 Realistic Tree Asset Pack Video on the CG Geek Youtube page! Check out the Demo video for more details and instructions on how to use! This item has an average rating of 5 from 11 ratings by the community. Very nice pack as nice as the support. It took less than an hour to get a kind answer to a couple of questions. And, yes ! The trees look very good ! These are really handy. They will save me so much time. Love the pack, easy to use, and they look really great for any render. I'm using it a lot :) Thank you for this great asset pack. Very good pack. I'm really enjoying it! Great pack of Trees. After seeing CG Geek youtube videos I joined his Patreon page and then picked up trees and Nature Assets. These have been the best purchase I have made for blender. Just got this Asset Pack last night & I absolutely love it. I had some questions right after I bought it (like 2 am is when I sent the message) & had a response when I woke up. I'm really excited to start using this with the Realistic Nature Asset Pack that CG Geek also made. THANKS AGAIN!!! Very nice pack, use it on nearly all my renders, from being used as a background to the main focus, always works wonders. Thank you! Incredibly useful and a surprisingly rich tool. Look for the "fall color" colntrols and the control bones for the animations: They are really helpful!